It’s a line that Agent 13/Sharon Carter (Emily Van Camp) says in the first act of Captain America: Civil War, and one that foreshadows the conflict the title implies, but it also serves as a promise that, despite its fantastical pageantry, it will emotionally move. Following the events of Avengers: Age of Ultron, and the resulting collateral damage therein, the United Nations demand governmental oversight over the super-powered community and, through now-Secretary of State Thaddeus “Thunderbolt Ross” (William Hurt, last seen in the 2008’s The Incredible Hulk), present to the Avengers “The Sokovia Accords” which give them a choice: either follow the letter of the law, or be branded as criminals. 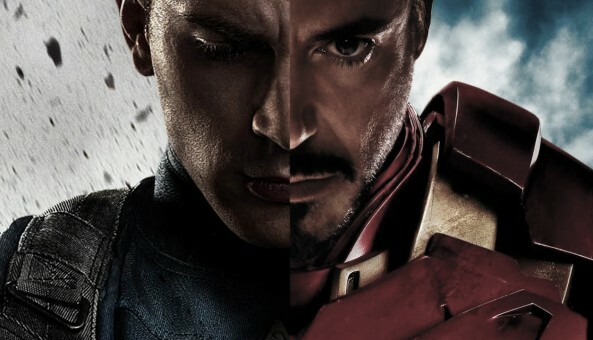 Loosely based on Marvel’s mini-series of the same name, Captain America: Civil War finds Steve Rogers/Captain America (Chris Evans) and Tony Stark/Iron Man (Robert Downey, Jr.), at philosophical, ethical, professional, and ultimately personal odds; a rift heightened when the Winter Soldier (Sebastian Stan) seemingly returns to disrupt the ratification ceremony, an act which takes the lives of many including the King of the isolationist nation of Wakanda. It’; up to Captain America, Sam Wilson/The Falcon (Anthony Mackie), and Carter, to ferret out the truth. Their actions set off a chain reaction that pits Avenger against Avenger and friend against friend, even as new players The Black Panther (Chadwick Boseman) and The Amazing Spider-Man (Tom Holland) join the fray. Yet they're so busy fighting each other that they don't recognize the puppet master machinations of Zemo (Daniel Brühl) behind the scenes. This is a thematically-dense but timely film, with its ruminations of family and trust, oversight necessity, and the global and personal costs of warfare all at play; questions which plague our society in real life are touched upon here without giving any real definitive answers because, despite the super-heroic trappings, this story is, first and foremost, a morality play, Shakespearian in both scope and character. A wise man once said "[t]he more they overthink the plumbing, the easier it is to stop up the drain." With a film of such largess, infused with so many characters and elements, it would take a small nudge to make this cinematic house of cards topple spectacularly. After all, one of the main criticisms against Joss Whedon's Avengers: Age of Ultron was its weak cohesiveness, i.e. its shoe-horning of situations that served as set up for future Marvel films (as the films are basically one big narrative with each installment feeding into the next). By contrast, Civil War flows more organically (though not completely. See below) and is surprisingly intimate. The Russo Brothers, working off of the screenplay by Christopher Markus and Stephen McFeely, juggle action and characterization, making requisite blockbuster tropes of fights and explosions service the story and characters as opposed to the other way around. Further, the main players’ motivations are identifiable and personal. More amazingly, none of the characters on either side of this conflict are short changed either in screen time or characterization. After eight years, these characters are familial not only to each other but to us, the viewer; which makes the breakdown of relationships and descent to conflict all the more poignantly tragic, yet understandable within context. None of the characters are off key; all their motivations and decisions falling in line with what we’ve come to know of them. But even then, the returning characters show developmental nuance and, more importantly, growth: RDJ's Stark is as arrogant as usual but, despite his renewed health (per Iron Man 3), he is still an emotionally wounded animal suffering from PTSD; one that uses that pain to make decisions that he believes are to the betterment of the super hero community in general and mankind in particular. Natasha Romanoff/Black Widow (Scarlett Johannsen) has significantly let down her emotional armor, playing the unlikely role of a mediator trying to keep her family together. The newly-minted Vision (Paul Bettany) shares awkward-yet-endearing interactions with The Scarlet Witch (Elizabeth Olsen), who is still uncertain of her place in the world and with her powers. It's difficult to single out anyone's performance because these actors are so damned good in their roles. The Falcon juggles his filial loyalty to Captain America with a budding love/hate bromance with the Winter Soldier; a good contrast to Secretary of State Ross’ mistrustful and uneasy alliance with Stark, all while barely containing his seething enmity against all super-powered vigilantes. But much must be said of the newcomers. Chadwick Boseman plays the newly-minted King T’Challa, who assumes the legendary mantle of The Black Panther. Boseman captures the quiet regality and, dare I say, spiritual nobility of the source character. His inclusion into this cinematic universe flows naturally, unlike the OTHER big character introduction. Marvel's acquisition of Spider-Man back from Sony coincided with Civil War's production and, as such, the character's inclusion into the proceedings was shoehorned at the last minute; unfortunately, it shows, leading to one of the film's few tonal hiccups. That being said, Tom Holland's performance as Peter Parker/Spider-Man more than makes up for the discordance. As clichéd as this will sound, Holland completely nails the role(s). If this film is in any indication, Spider-Man’s future in the MCU is in very good hands. All this talk of the supporting players, what of the title character himself? Chris Evans' Steve Rogers/Captain America is the answer to the controversy about the darkening of noble characters, proving once and for all that a character can be (seemingly) out of time in terms of his ethics and values yet still be compelling relevant to the time his story is told. He is not blind to the darker nature of this new (to him) world, but refuses to fall into it. Despite assertions to the contrary, his character is as flawed as any human but unrepentantly strives to nobility. Evans’ performance evidencing his inner conflict between brothers old (Winter Soldier) and new (Iron Man) is subtle yet palpable. He anchors the film and provides a point of view that would not have been possible had this been called "Avengers: Civil War". The Russos keep Captain America from being a guest star in his own film, but just barely. The addition of all these characters, including Ant-Man (Paul Rudd), Hawkeye (Jeremy Renner), and War Machine (Don Cheadle), unfortunately short change Rogers’ own character development. His story beats, which should have carried more weight, lose some potency as a result. Regardless of that, Evans carries the film. At the risk of repeating myself I will repeat what I said in my review of Captain America: Winter Soldier, not since Christopher Reeve has an actor become the embodiment of a super-hero. While Marvel cinematic villains are generally two-dimensional, Brühl’s Zemo slightly bucks that trend. To say more would be to give away the twists but, suffice it to say, Brühl plays of the more nuanced villains in this series of films to date and, perhaps, the most successful one. Nuance is evident throughout the film. The Russo Brothers play their direction like a fiddle, weaving elements from previous Marvel product into this story in such a way that the viewer doesn't need to refer back to get the gist. They manipulate audience expectation, subverting it even as the outcome makes perfect sense. Even the principle of Chekov's Gun (the introduction of an element that must be used by story’s end) is subverted in an organic, if not satisfying, result. The story keeps you guessing and on the edge of your seat. Henry Jackman's score fuels this tension without taking on a distracting identity of its own. Any hints of Alan Silvestri's "Captain America" theme are completely absent this time around; a fitting omission, given the film's ultimately tragic nature. Captain America: Civil War had much to gain but so much more to lose. It had to set the stage for the Marvel films going forward while juggling so many elements. It could have collapsed under its own weight. Instead, it is a triumph of live-action super-heroic film-making, eclipsing what has come before. It does not compromise character for the sake of relevance, nor does it bring down any one character for the sake of another. It blends action, humor, pathos, and tragedy. For all its bombast, its strength lies in its humanity. Other studios attempting to establish cinematic franchises should take note. This is how it’s done. Captain Montgomery Scott (James Doohan); Star Trek III: The Search for Spock (1984).